The “new space” space is getting pretty exciting, particularly when it comes to 3D printing. Firmamentum is currently developing a combination 3D printer-recycling system to send to the International Space Station (ISS) while Made In Space already has two 3D printers aboard the ISS. In 2017, the ISS may find itself overwhelmed with space fabrication technologies as Made In Space now plans to send a microgravity-optimized, miniature fiber drawing system to the ISS to produce ZBLAN optical fiber. As a heavy metal fluoride glass, ZBLAN is currently used in medical products, fiber lasers and other near-infrared applications. The material has a higher infrared transmittance than silica, but gravity-induced imperfections hinder its use in a wider range of applications, such as long-distance communication. According to NASA research, it may be possible to prevent these imperfections by producing the material in microgravity. 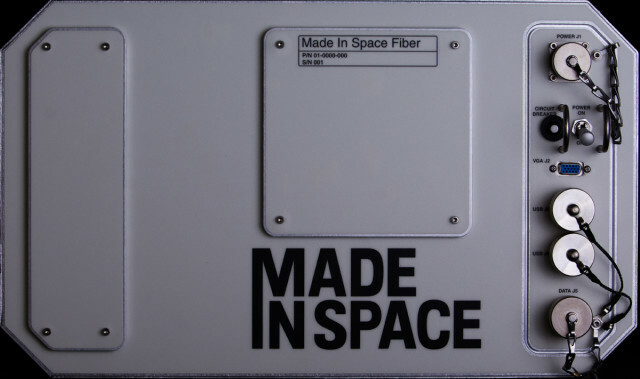 For this reason, Made In Space has developed a fiber drawing system for use in microgravity with ZBLAN preforms made by Thorlabs, Inc. The payload, dubbed the “Made In Space Optical Fiber Production in Microgravity Experiment,” will see the system sent to the ISS in the first quarter of 2017. At least 328 ft (100 m) of ZBLAN optical fiber will then be manufactured aboard the ISS in the station’s microgravity environment and returned to Earth for analysis and testing. Once returned to Earth, the material will be tested and may ultimately lead to the establishment of microgravity production facilities by Made In Space for ZBLAN and other materials that may benefit from being produced in a microgravity environment, such as indium fluoride. If microgravity does result in higher-quality fibers, it may be possible that data transmission capabilities on Earth can be improved by optical fibers made in space. Andrew Rush, CEO of Made In Space, Inc., explained that ZBLAN is an ideal material for testing out the possibilities for microgravity production. “ZBLAN optical fiber was chosen as the initial material for experimental production because its value per kilogram is significantly higher than current launch costs, it has a strong existing terrestrial market and research indicates that microgravity-manufactured ZBLAN can open large new markets as well as more effectively serve the current market,” Rush said. While 3D printing in space may help reduce the weight (and therefore cost) of launch payloads, ultimately serving the needs of astronauts, in this case, manufacturing in microgravity would actually help those of us on Earth.